Over 600 rider have enjoyed the annual Watagans Trail Bike Rally in New South Wales, which reached a special 15th anniversary last weekend. With some of the best trails in the state, the event has become a must-attend for enduro riders eager to enjoy a weekend full of camping and riding. The event saw the Yamalube Active8 Yamaha truck on-hand to assist in essential maintenance work to any rider on a Yamaha. Team manager AJ Roberts offered advice and set-up tips, while rider Josh Green and Michael Driscoll showed riders the hot lines around the Yamaha demo lap – a mix of nine WR250Fs and 450Fs were available all weekend for riders to test on a 10-kilometre loop. 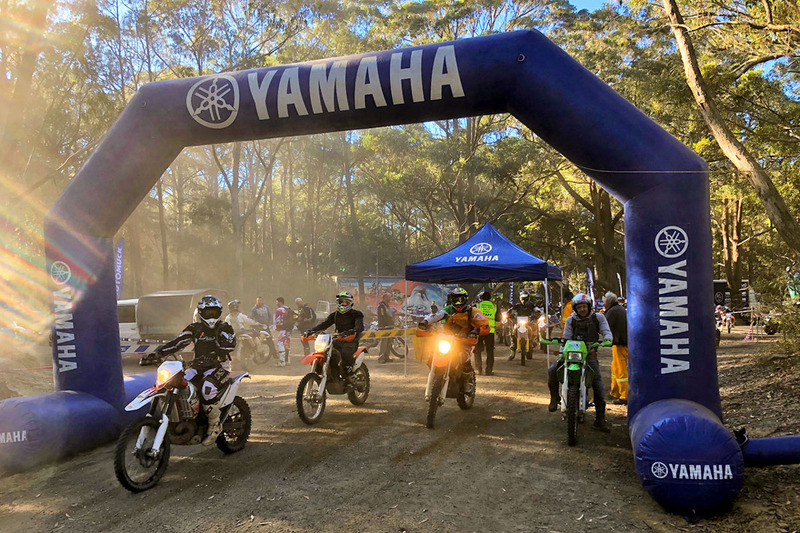 The rally was organised by Trail Bike Rallies and major sponsor Powersport Central – namely Rod Cartright and Chris Flaherty – with a wide range of assistants and sweep riders. Roads in the area were closed to ensure everyone got through safely and there was a range of challenges from easy and hard through to expert, which included the notorious Heartbreak Hill and Erzberg Rock Climb.